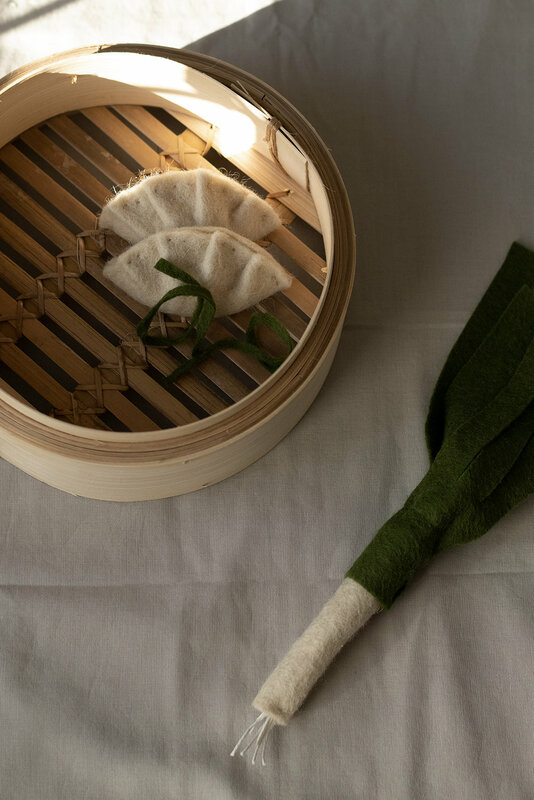 Concoct a delicious dumpling dish with veggies made from tasty wool felt. Although the youngest kids will have to wait until the food is properly done and needles have been put away, this makes for a perfect first sewing project for the older ones. The perfect family crafts project spells masks! 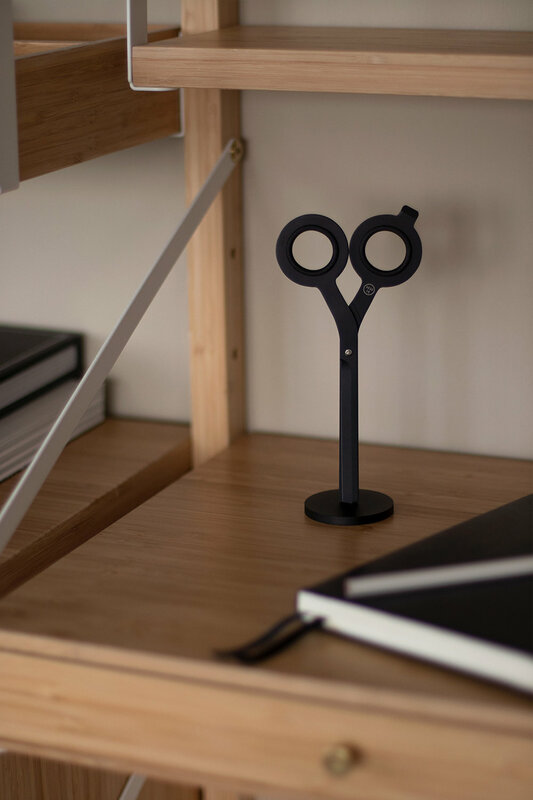 They look really neat showcased in the bookcase or mounted on the wall but are also great fun for little actors to play with once they’re done being little artisans. 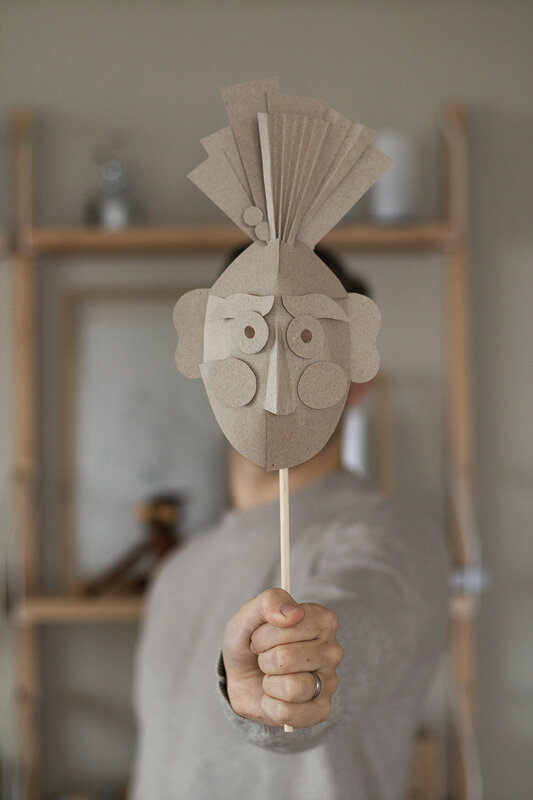 In this month's B.A project, we gathered a stack of paper scraps from old packaging materials and had a go with the scissor, creating tribal-inspired 3D masks. In the step-by-step guide below we’re showing you how you can make a simple base that you can then decorate with your own imagination. And dear busy adults, this is not where you try to sneak out and rejoice with your i-something while the kids are crafting. Join in and see what making masks do for your creativity! It's actually really meditative AND fun no matter the age. Make the nose. Fold in the middle. Cut and fold like the above picture. (see how on next step). Create the 3D effect by overlapping and attaching the tabs like this. It costs nothing. You don’t have to sign up. Just show up (on the blog) every first of the month, to find yourself a simple step-by-step project to make at home. 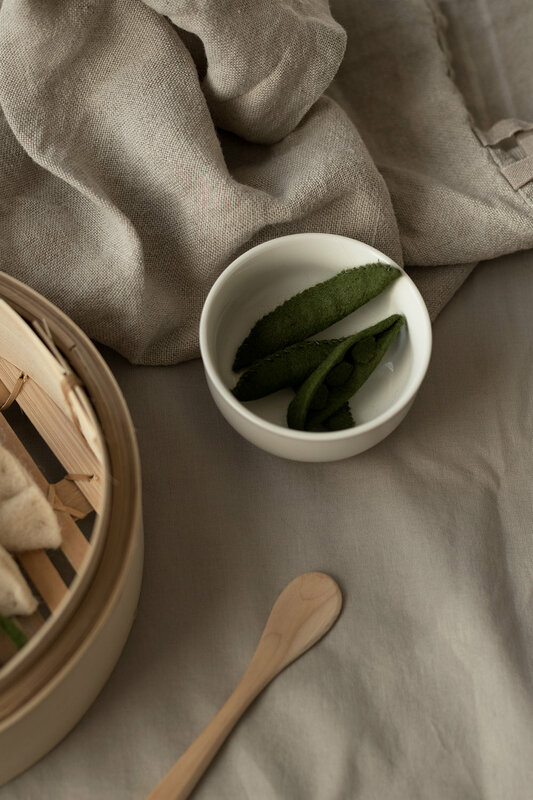 Simple doings to refuel your creativity and indulge in some disconnected downtime. Make sure to get family and friends seated and have them join in on this too. Because who doesn’t need a moment to unplug and reconnect with one’s playfulness? What to expect? 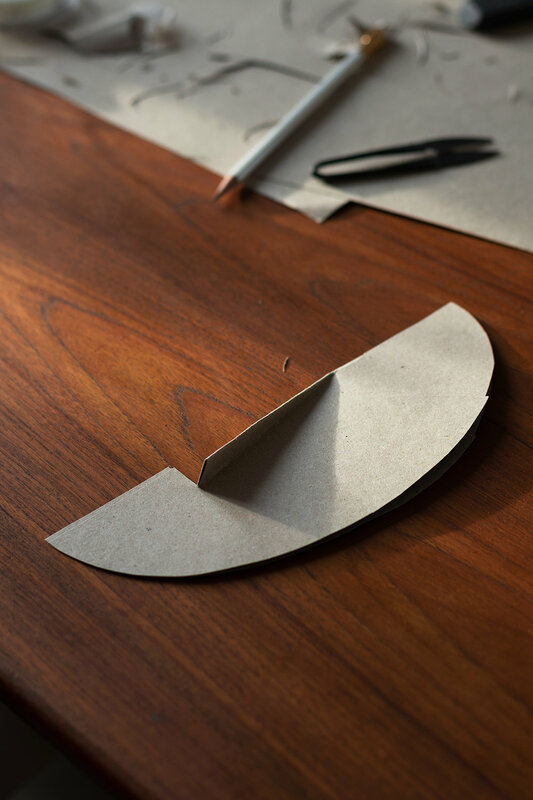 There’ll be a little this and that of everything and for everyone; simple artisanal projects to make yourself, minimalistic crafts to make with the whole family and little things you could make to surprise the kids with. If you’re lucky, there’ll even be some bonus ones. Hope to see you back here again tomorrow, for the first workshop. On the third of March, the Danish clan gather around a plate of “fastelavnsboller” (made either like danishes or buns, the latter of which you’ll find the recipe below) celebrating a holiday of which I know very little about. It was mainly the rather odd activities, silly costumes, and sweets that interested me as a kid whereas the purpose of the feast never really mattered. I’ll leave you to google it. The best part of Fastelavn was this longstanding tradition that makes no sense at all but was massive fun! It involves a big wooden barrel with metal ties, filled with sweets and small toys, hanging from the roof. A heavy wooden bat (!) was given to the kids of which we ran amok. Hitting the barrel with it until it eventually caved in and all the hidden treasures fell out (cheering and appointing the heroes, that made the barrel break, kings and queens). Then there’s something about a black cat with an arched back… There’s always a black cat involved in the symbolism of this holiday. Why I do not know, another mystery I have yet to solve. Anyone knows anything about that? To summarise - there were lots of sugar, laughter and overly excited kids. I remember this one time when the whole neighborhood on the small Island of Samsoe, where my grandma lived back then, came together and celebrated in an old barn. It’s still one of my favorite moments of my childhood. So, do add this holiday to your calendar, the Fastelavnsboller alone are worth it. Pastry: 1 dl milk, 50 g yeast, 125 g soft butter, 1 egg, 4 tbsp sugar, about 6 dl flour and a tsp of cardamom. Creme: 1, egg (ca. ½ dl), 2 tbsp sugar, 2 dl milk, 1½ tbsp flour, ½ vanilla rod (the seeds). Icing: 100 g confectioner's sugar (ca. 2 dl), a little cocoa powder and 1 tbsp water or rum. Heat the milk until lukewarm. Pour into a bowl and blend with the yeast. Add all the other ingredients (save some flour til later. Also, I always seem to use a little less than what the recipe says here, careful not to make them dry and dense). Knead the dough until smooth and cover with a kitchen towel. Leave it to rise for about an hour. Moving on to the creme - Throw all the ingredients into a small saucepan. Heat the mixture until it bubbles, then lower the temperature and let it simmer for about 5 (busy!) minutes while whisking continuously. Pour into a bowl and let cool. Knead the dough again on the baking table, add the rest of the flour. Roll the though into a nice and flat square-shape. Cut small squares, about 10 x 10 cm ( circa 16 pieces). Put a tbsp of creme in the middle of each one and fold in all the corners so that they look like small packages. Make sure to squeeze the ends a little so that the creme stays put. Then turn them upside down onto a baking tray (with a baking sheet). Let them sit for 45 minutes before baking them in the oven for about 10 minutes (225°C). Decorate with icing and crushed nuts (for example walnuts or pistachios). All available in the store.